This bright and vibrant citrus salad contrast nicely against a blue-grey background. 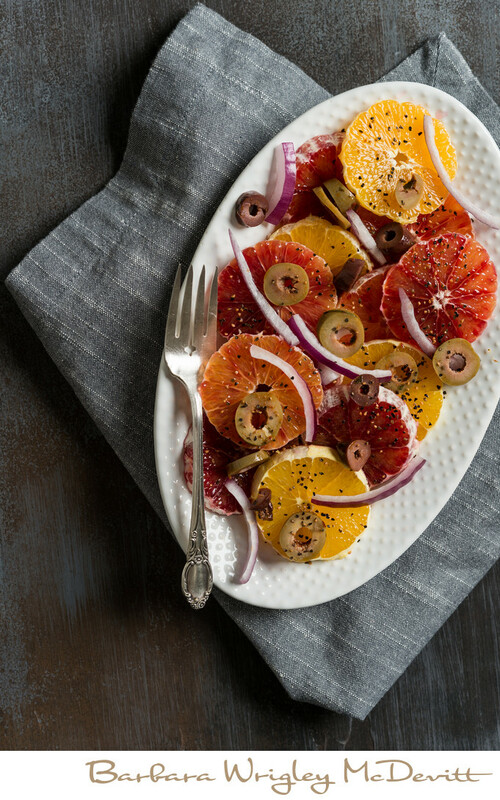 Sliced blood oranges, red onions and olives are drizzled with olive oil and garnished simply with pepper. This dish can be served for lunch or as a first course prelude to a larger spread.